Hey everyone! My name is Caiden Tolman and I am a writer here at Cracked Brain. I’m a married man with 3 step-children whom I love very much. I started my writing career back in high school when I delved more into novel writing and poetry. Life happened and I dropped those hobbies. Sitting somewhere on a flash drive are three novels and a few dozen poems. I know cloud storage is the way to go but this was back when the cloud was just becoming a thing. I’ve written a few other pieces since then and sent one to Stephan. Please scroll down to view my devilishly handsome mug and to continue reading..
Fast forward a few years, when I met him this was mostly just a podcast. I was a guest a few times talking mostly about gaming and movies. 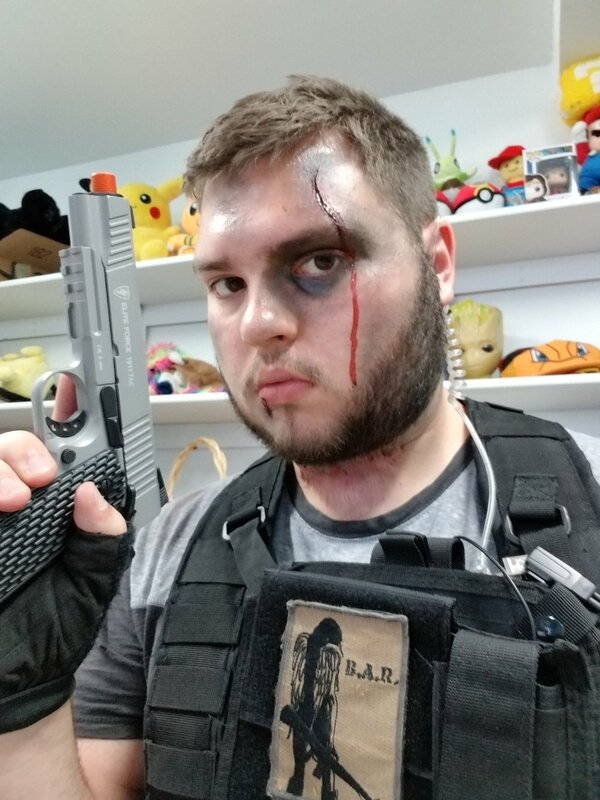 I was his break from constant cosplay episodes, not that there is anything wrong with that of course. As the years progressed so did Cracked Brain. More and more things were happening and Cracked Brain needed another writer. That’s where I come in. I hope you all enjoy your time here with Cracked Brain as much as we do!! Until next time, I bid you all a very fond farewell.